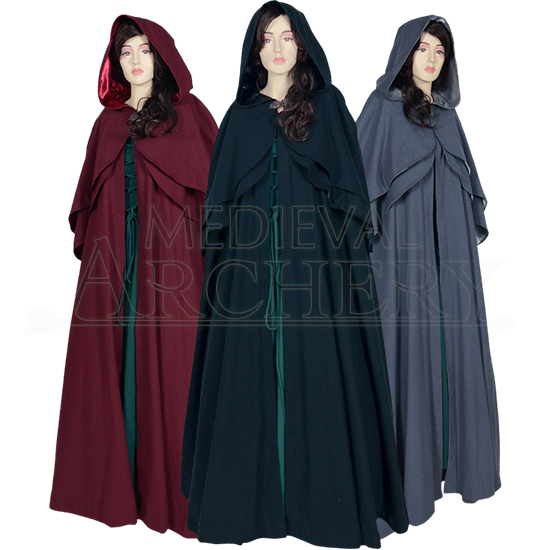 Drape the Womens Elven Cloak over your medieval or fantasy outfit, and you are sure to fit right into any enchanted forest. This full length fantasy cloak features two shorter layers over its shoulders for extra ethereal elegance. These layers are rounded in the front and come to a point in the back. 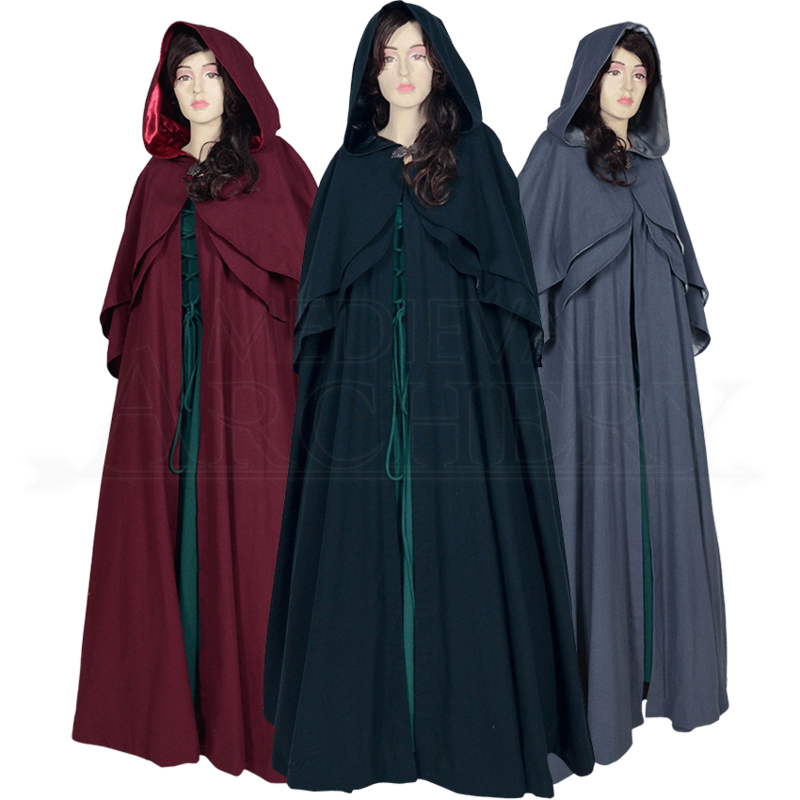 Made of 100% natural cotton, this cloak comes in a wide variety of colors and your choice of a silver or antique gold Celtic style clasp, which secures the cloak in place at the neck. The full hood ends in a point, adding to its fantasy vibe. Matching satin lines this hood and the shoulder layers. Add a graceful touch of mystery and an extra layer of warmth to your Renaissance or fantasy ensemble with this natural cotton cloak for women. The color selection is for the color of the cape. The accent color is for the color of the clasp.